If you want to learn to trade stocks then you should be familiar with paper trade stock market methods. These methods allow you to create a money making system that fits your requirements. Every trader should have several systems and strategies. Why? The market is not only in one mode. It is not bullish all the time. It turns to bearish mode or to trading range mode. All these modes could be present for longer periods than one might think. You always hear about gurus when shares and indexes are in bullish moves. Everybody is making money and everybody thinks it is easy. They are buying every dip and waiting for new highs. These “stock traders” or “investors” do not not have any real strategy, real rules, or system for risk management and no business plan at all. When the market changes its mood then these traders and investors realize huge losses. Most of them are wiped out. They did not understand that they must learn to trade stocks before they come to exchange to trade shares. And that they should have different trading systems for different trend situations. There are several options to paper trade the stock market. The easiest way is to really write all virtual trades on paper. OK, today probably it will be better to write it into some Excel sheet. That’s what I did when I learned how to trade stocks and ETFs myself years ago. Another option is to use a virtual trade option by stock simulator available from a broker. But you must use a simulator that provides real-time data about trading. 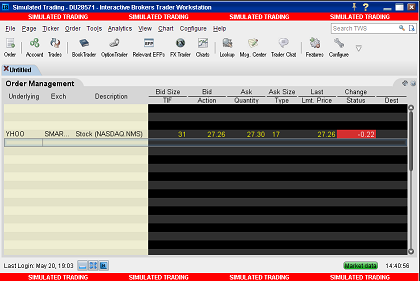 I like Interactive Brokers – it is one of the best brokers available these days I think. If you have opened an account with this broker, you can also have a paper trade account available. Then you can use real-time market data provided by this broker also with your virtual paper trade account. And you can do free paper trades on this paper trade account without risking any money. You can test your strategy if it works. If it does not work during your paper trade stock market time then it will not work in real trading. But if your free stock trades on your virtual account generate virtual profit then you can think about testing it in a real trading account with real money. It depends. But I think that to be sure that your “paper” strategy works in different market situation you must do these free paper trades for 3 to 6 months as a minimum. Paper trade methods also allow you to test new ideas. If you have already tested a strategy, you can test some new strategy or system for risk management from time to time. And you can utilize paper trade methods very much. You can use your virtual trade account and do free trades. And test your new or modified strategy or risk management system. How to evaluate your paper trade methods ? 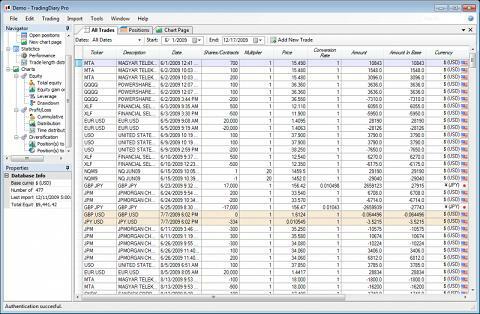 If you use Excel then you can calculate the results of your virtual trades. But it can take a lot of time. It could be better to use some trade journal to record your trades. These journals provide different reports which can help you to better understand details of your strategy. Such a journal helps you to find what works and what does not work.